Not sure how to organize and present all your OPPE & FPPE data? Just open your value pack. OPPE and FPPE are mainstays in the privileging process, yet they’re anything but cut and dry. In today’s evolving healthcare industry, medical staff leaders and MSPs often encounter scenarios that don’t fit squarely into evaluation frameworks, such as telehealth providers, low-volume practitioners, and the growing ranks of advanced practice professionals. Get the tools you need to comply with accreditors’ standards. This product bundle combines three of our best-selling books and a webcast to create an unrivalled package to help you evaluate and strengthen existing OPPE/FPPE approaches. Streamline your processes, eliminate the background work, and implement a comprehensive and compliant OPPE process with these expertly reviewed tools and forms. Author Juli Maxworthy, DNP, MSN, MBA, RN, CNL, CPHQ, CPPS, provides medical staff leaders, medical staff professionals, and the quality team with best practices and highlights how to tailor the tools to your organization’s needs. In this 90-minute webinar, Raechel Rowland, RN, BSN, LSSGB reveals how she leveraged an outsider’s perspective to learn the ropes of OPPE and FPPE, identify improvement opportunities in Ascension Borgess’ existing processes, and rally colleagues across disciplines to completely transform the Michigan hospital’s approach to professional practice evaluation. Just like all healthcare regulations, the focused professional practice evaluation (FPPE) of providers is a process that is constantly changing and being refined. With an evolving provider landscape and commensurate legal findings, knowing how to collect, organize, and document FPPE data is critical for all facilities. Failing to gather and organize sufficient FPPE data in a standardized way presents risks including redundancy, inconsistency across specialties, and inadequate articulations for practitioners regarding their role in FPPE. 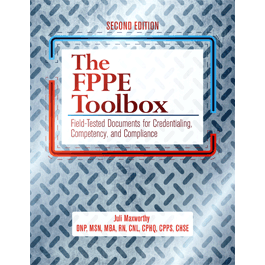 This resource provides an up-to-date, comprehensive resource with the forms and tools MSOs need to conduct and manage FPPE. 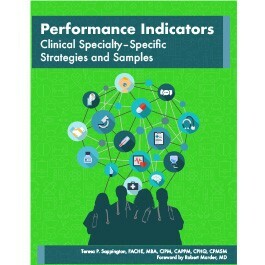 Featuring an unmatched combination of expert-vetted measures from the field and actionable guidance on their broader implementation, this resource equips medical staff leaders, MSPs, and quality professionals with the tools and know-how to capture holistic competence data for clinicians spanning specialties.